The WWA’s Board of Directors works with park and supplier members, as well as members working on WWA Committees to identify and honor worthy recipients for the annual Board Awards slate. These Awards recognize excellence in leadership, safety, innovation, training, etc., and honor people working at various levels within the water leisure industry. Hall of Fame inductees and Board Award honorees will be recognized during the General Session on October 8th at Disney’s Coronado Springs Resort in Lake Buena Vista, Florida, U.S.A. Nominations for the Al Turner, Executive Board, Kelly Ogle and Leading Edge Awards will open for nominations in June. The World Waterpark Association Hall of Fame exists to recognize and honor those individuals who have made noteworthy achievements in the development and advancement of the water attractions industry. 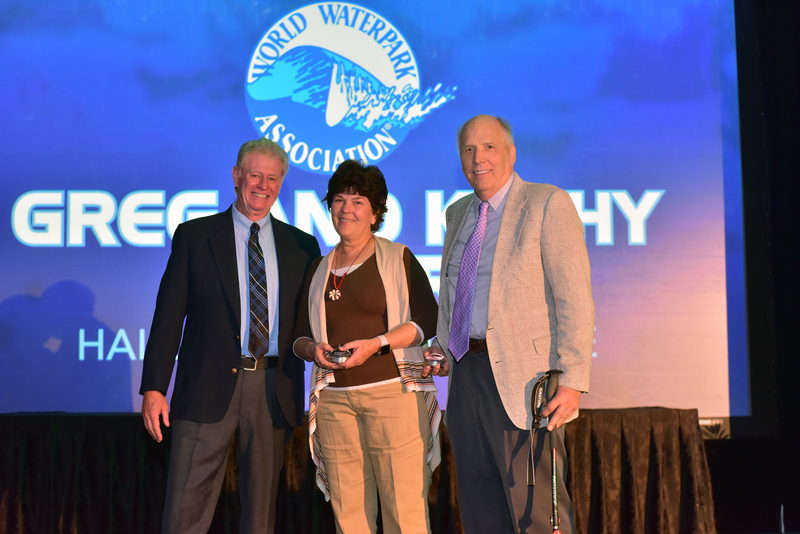 The WWA Hall of Fame celebrates individuals who have reached a position of eminence through contributions that have provided outstanding service, innovation or advanced the WWA and/or the water attractions industry. The nominations window for the 2019 Hall of Fame slate is now closed. Awarded to individuals, parks or organizations that have through their consistent business and professional excellence provided leadership and/or fostered a sense of community in the World Waterpark Association membership. Awarded to an individual or organization for special accomplishments in the water leisure industry that have contributed to industry knowledge and expertise for the benefit of the WWA membership. Awarded to an individual or organization for significant contributions to guest and employee safety in the water attractions industry. Awarded to individuals or parks for creativity in the development of new themes, facilities, programs, services or operational concepts in the water attractions industry; and to suppliers who have developed new concepts, products or services to the benefit of park members, their customers and the water attractions industry.